I have been fascinated by composting ever since I visited daily dump website. 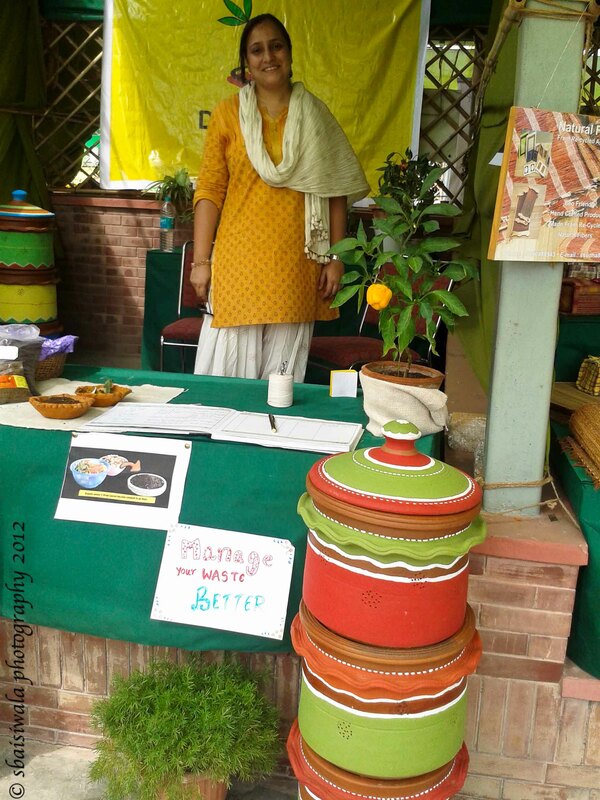 Two years of hunting for their handy composters, I finally saw an ad for it in the upcoming Green mela by Dastkar. Yes!!! I made a date to go get my composter. I have become and avid fan of Dastkar and keep a look out for their melas which are now being organized like clockwork. 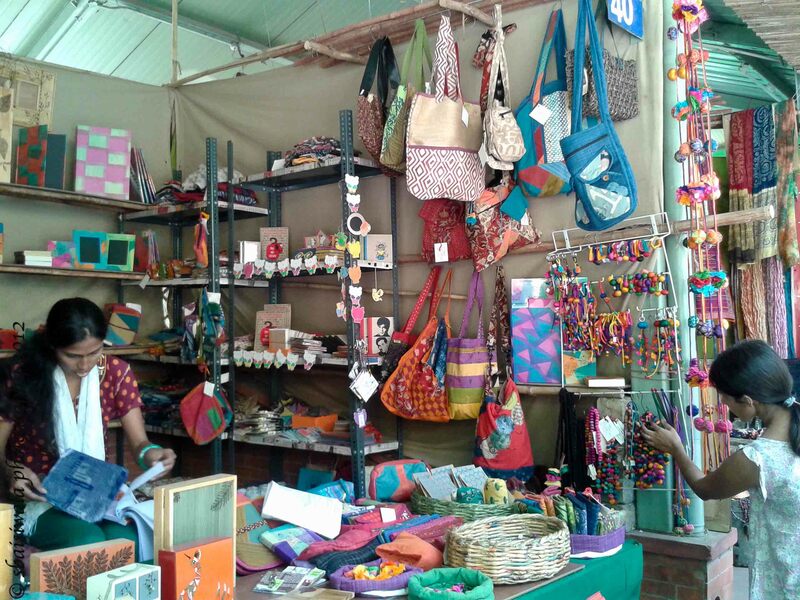 The ambiance of the haat and the variety of the merchandise has impressed me every time. Its becoming a must-go event in my book and I recommend it whole heartedly to all as well. So I walked into the compound and realised that expansion is on – looks like they are getting popular. Good for them!!! Once past the security check, their trademark canopy and vividly hued signage beckons every visitor to explore with gay abandon. I walked past a huge stall of gorgeous bonsai and other house plants but didn’t linger as was entranced by these dried flower setup. 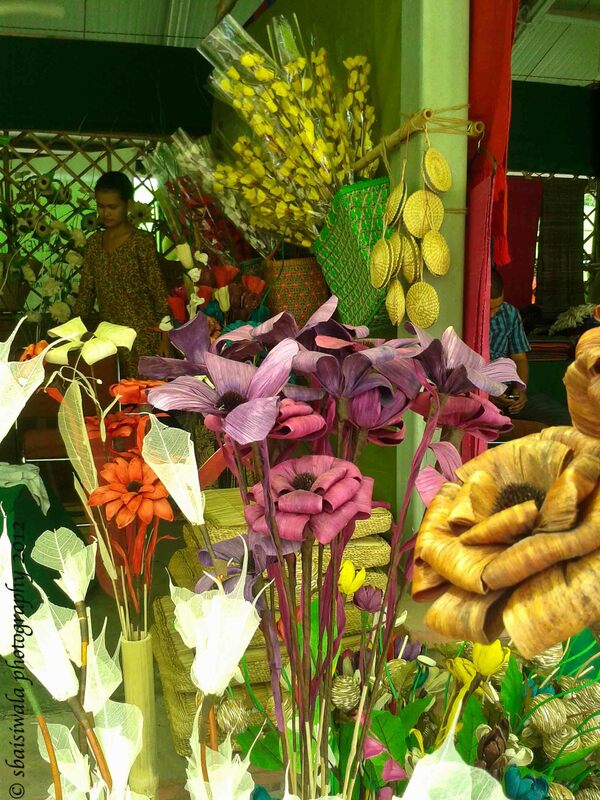 Turns out they were from Manipur and the flowers were made out of dried leaves which were then dyed. The bright hues – purple, magenta, green….. looked gorgeous but my wonder was at the strength and sturdiness of each petals. The dry leaves were almost rock hard. I was amazed at the creativity and hope they sold like hot cakes. 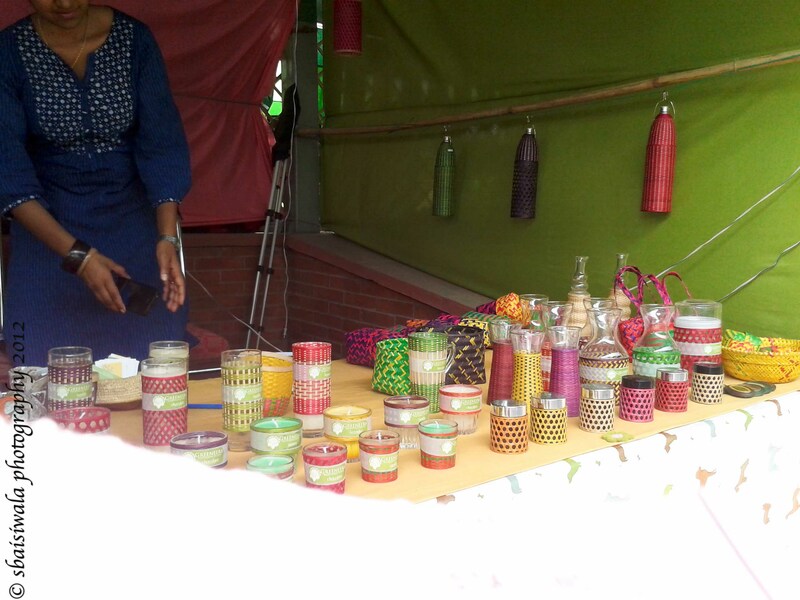 Next to catch my eye was this stall from Jharkhand where the Sabar tribe was involved in making these items. 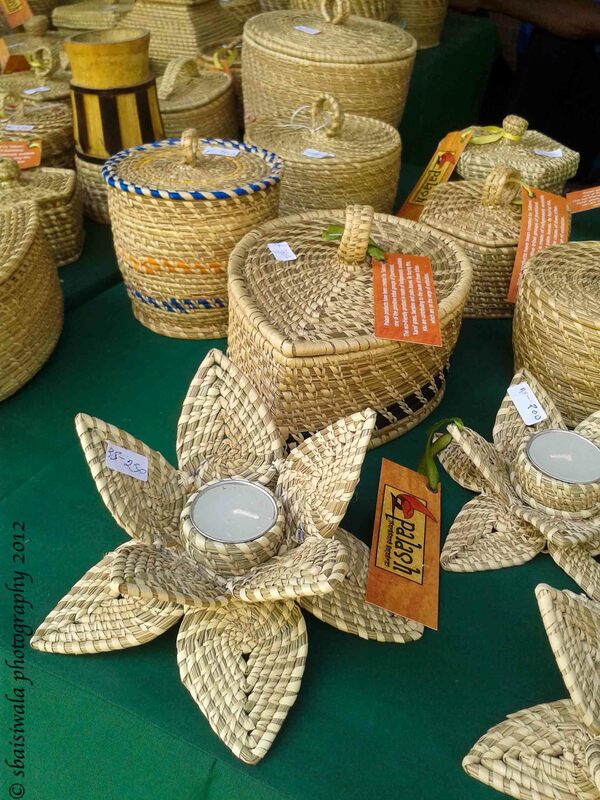 The products were made out of woven grass and bamboo but what creativity and utility. I have seen many such products but think these were unique. 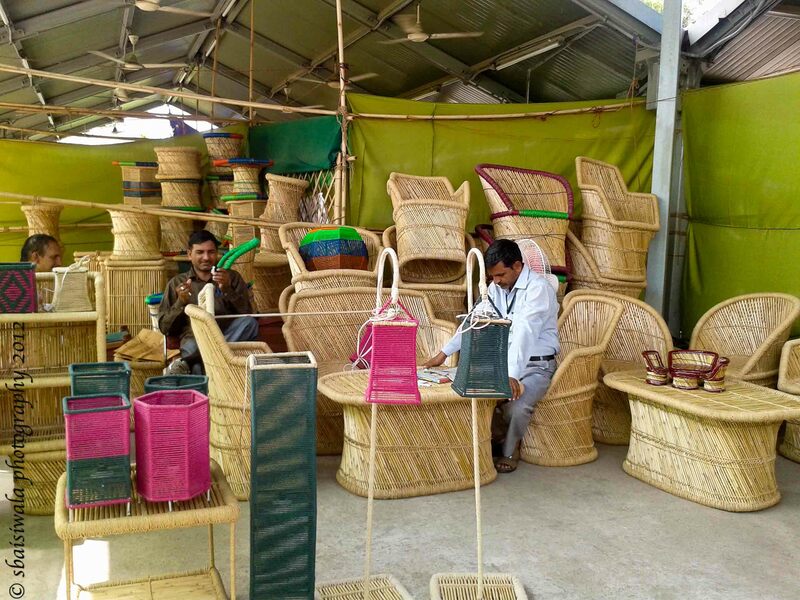 Branded Palash, the products ranged from diya holders to baskets with lids, etc. A typical stall of mudhas and cane chair, or so I thought till I saw the lights. 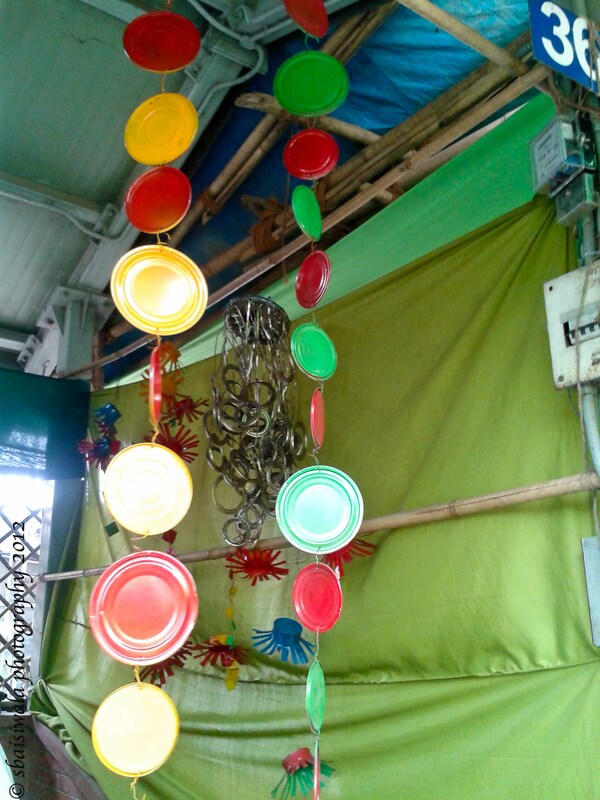 The combination of bamboo and colored yarn has been used quite well to produce some chic lamps. At 800/- for a floor lamp, I didn’t think this was badly priced either. 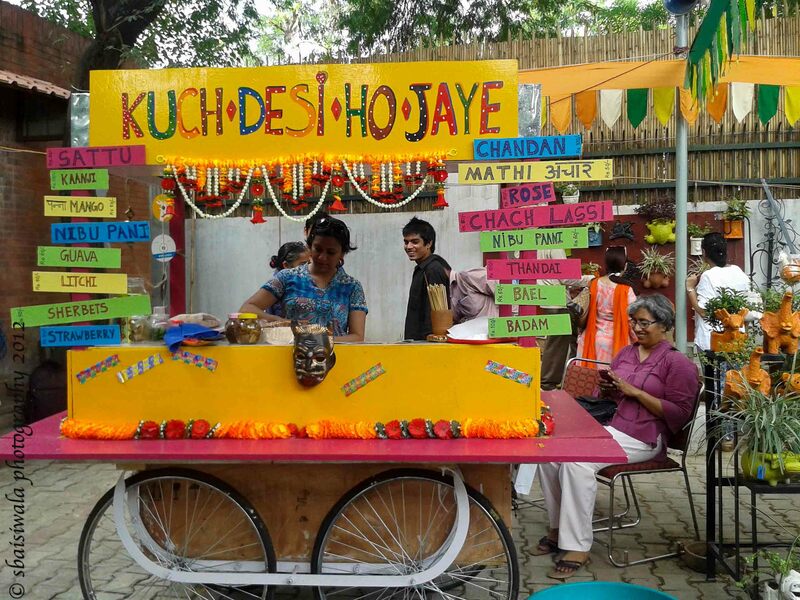 And finally I landed at the Daily dump stall and loved meeting Priyanka – the stall owner. She painstakingly explained the composting process and how to use the products for best result. She had painted the terracotta pots a beautiful combination and inspired me to do the same. A very charming lady who is doing a great job – Kudos!!! She encouraged me to pick up my stuff from the Gurgaon vendor as she didn’t want to cut in on her territory!!!! All the best to you and hope many many more are inspired by your zeal to take this up seriously. Khamba – the sheer genius of daily dump!! Some amazing works in newspaper crafts were on display – most of the people here are working with tribes or helping in rehabilitation of people by teaching them a unique craft and helping to sell their products to enable them. I was blown away by the sheer creativity and enterprising nature of people here. I met up with some enterprising Gurgaon moms at the mela. 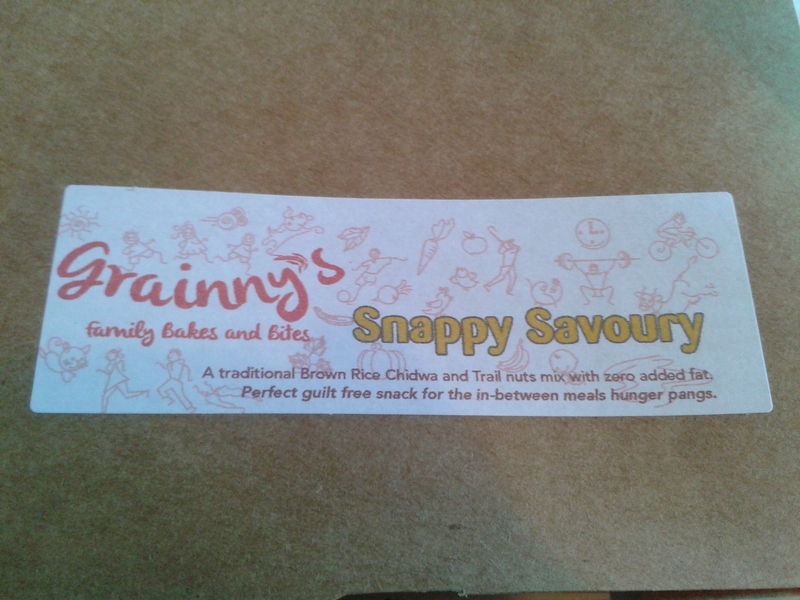 One such was Ritu who was selling these wonderful healthy food items with a zany name Grainny’s!!! I brought some red rice poha mix which was roasted and cant wait to place an order for more with her. ( it got over in a couple of days) The laddos and energy bar were also divine. I am planning to buy some for my mom when she is here next. All the best to you Ritu!!! Last but by no means least was this stall where I was mesmerised enough to want to buy all their items and by truckloads. Beautifully crafted bookmarks and decals – my paper mad self went bonkers and I had to really control myself. 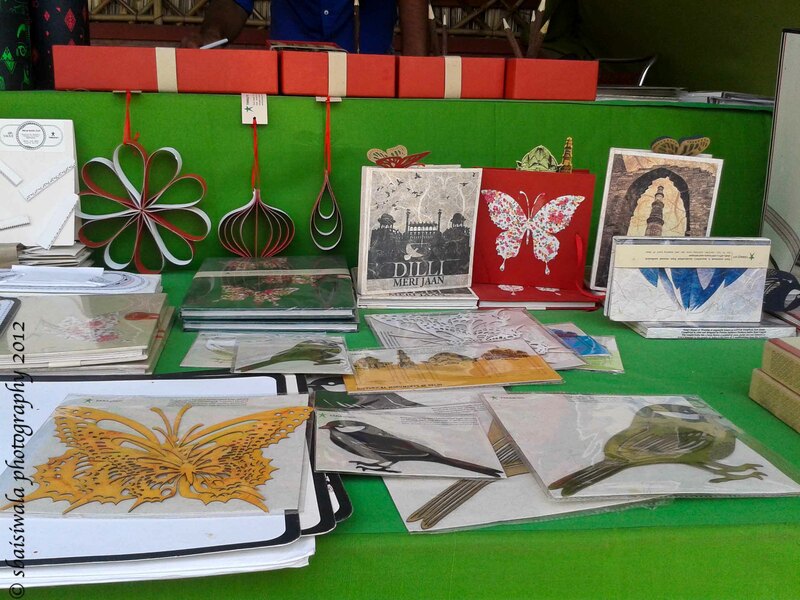 Called TARAgram – these creative lot, made the most perfect butterflies which I just couldn’t resist buying. And all handcrafted from rescued cardboard, cloth and tetrapack. AMAZING!!!! The birdies were tempting too but I was by now running out of cash……..
Phew! all the photo taking and buying things was tiring work!!!!!!!!!!!!!!!!!!!!!!! 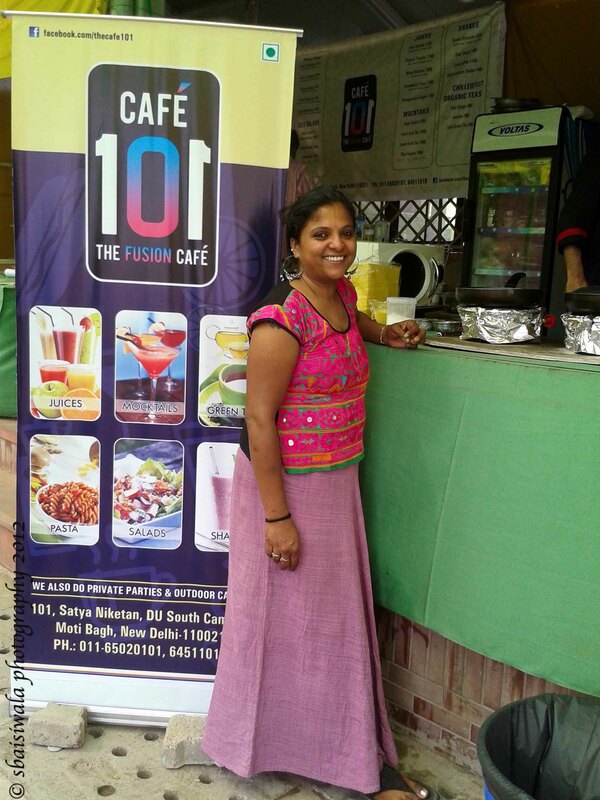 I kid you not – my energy levels dipped all the way down till I ran into Vinita at the Cafe 101 – she looked familiar but it’s when I saw her son, did we connect where we had last met. What a wonderful reunion and what yummy food she is serving there. Folks, she is planning to be a permanent resident at the food court of Dastkar haat. She made the most delicious and energy lifting Bloody diamond – fresh juices of pomegranate and orange. It was Bloody good! I ended up having two of those before I settled onto a Med platter – yummy!!!! The ubiquitous Jugmug Thela was there as usual too but the crowd stealer was this thela which captivated a lot of looks and customers too. I loved the zany kitschy look of this and will make it a point to sample their fare the next time I go there which will be soon as Dastkar is now in season with the winters coming up. YAY!!!! 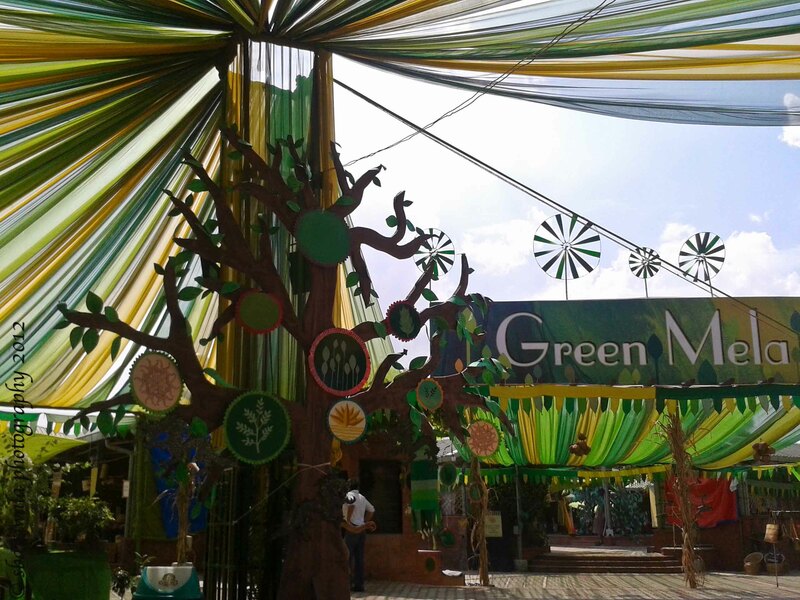 Nature Haat or Kisan Bazar is located opposite to the Mehrauli market on Andheria Modh. Best part – one can shop to one’s hearts content and then pay a consolidated amount at the main counter through a Debit or Credit card – so no worries over not having enough cash. Right now a culture gali bazar is on with some food stalls, etc which are being made a permanent feature. You could check out their FB page for more updates on the next fair. 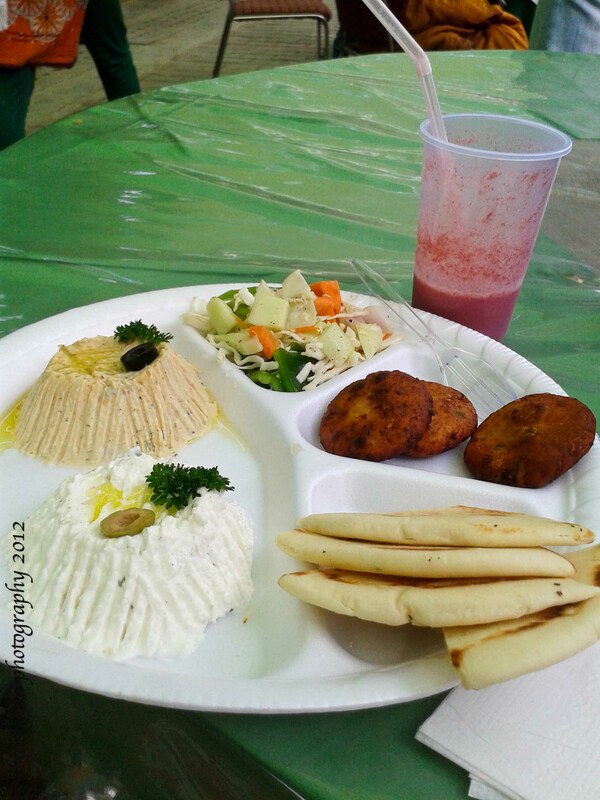 Previous Post Delicious Lunch Box!! !